Won in international competition in 2003, the design for the new British Embassy in Yemen, responds to the FCO brief for a ‘flagship building which demonstrates the best of British architecture’. 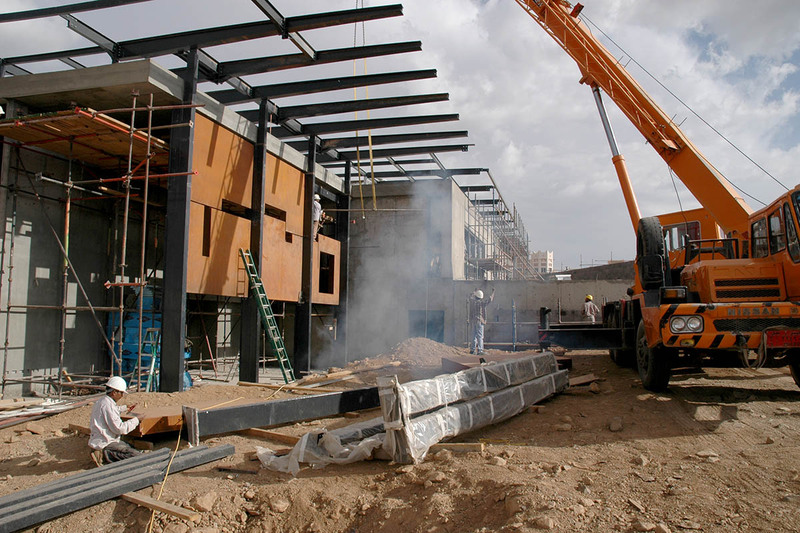 The site on the new ring road in Sana’a slopes 12m across its length, allowing public and VIP entrances at two different levels. New landscaped grounds are based on the theme of the Paradise Garden, giving 4 distinct character zones of varying levels, privacy and shade. For more information please contact The Foreign & Commonwealth Office. 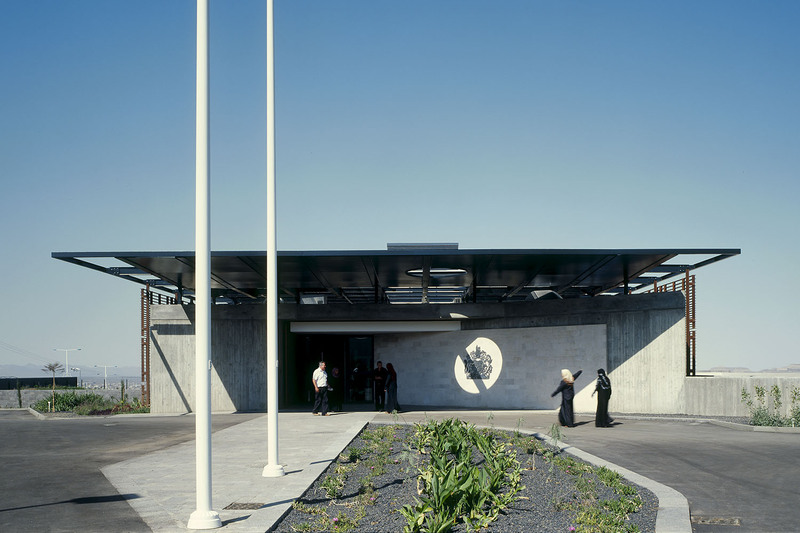 …it succeeds in combining the contradictory modern imperatives of defence and public accessibility…” RIBA Awards Citation 2007, British Embassy Sana’a. 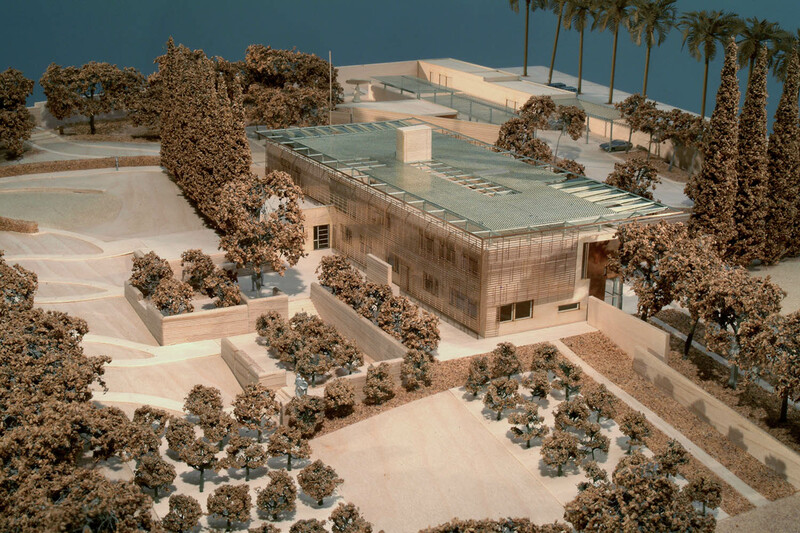 Designing a new British Embassy for the post 9/11 world has meant dealing with extremes. These are best summed up in the words of the Client: “On the one hand the ideal embassy is a highly secure underground bunker. However, on the other hand it needs to be a marquee with a large sign saying ‘do come in and have a cup of tea’”. 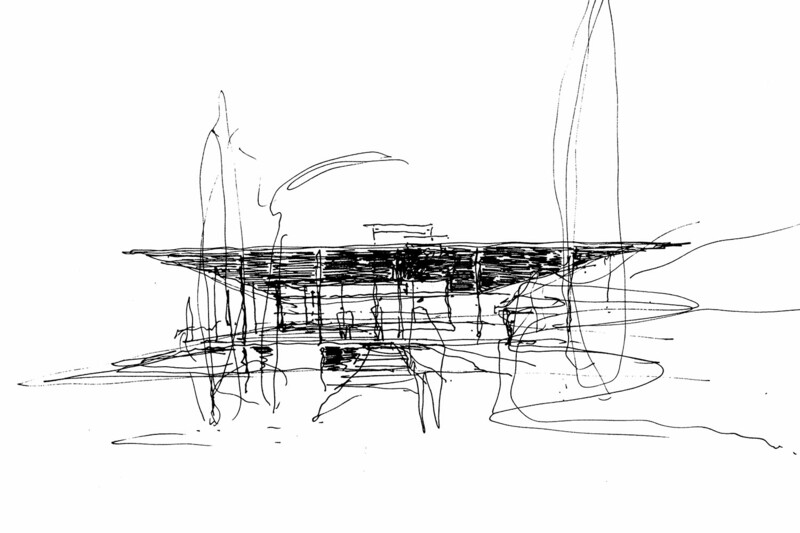 At the outset of the design process, with the November 2003 Istanbul Embassy bombing fresh in our minds, it sometimes felt like an indulgence to be concerning ourselves with issues of architectural composition, materiality and landscape. Why not do as the Americans do, with their ‘off-the-shelf’ embassies; small, medium or large, bearing little relation to context perhaps but proven to be highly functional and secure? The answer of course is that, for the FCO, an embassy is the visual expression of a diplomatic approach based upon engagement and partnership, rather than on the exercise of overwhelming power. A fortress would not be appropriate. 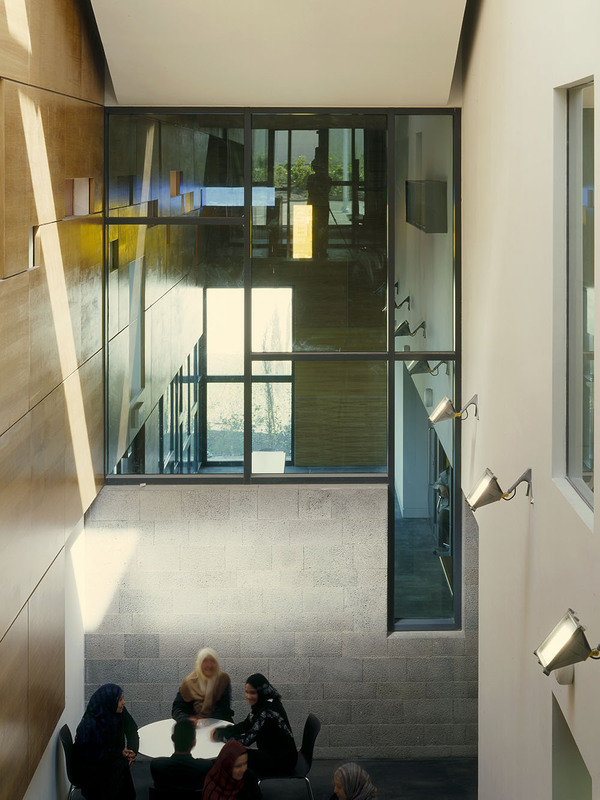 We therefore felt our task was to create a highly secure building which is also generous and respectful towards its context in the host country. Our approach has been to reveal and celebrate this dichotomy rather than to try to hide it. 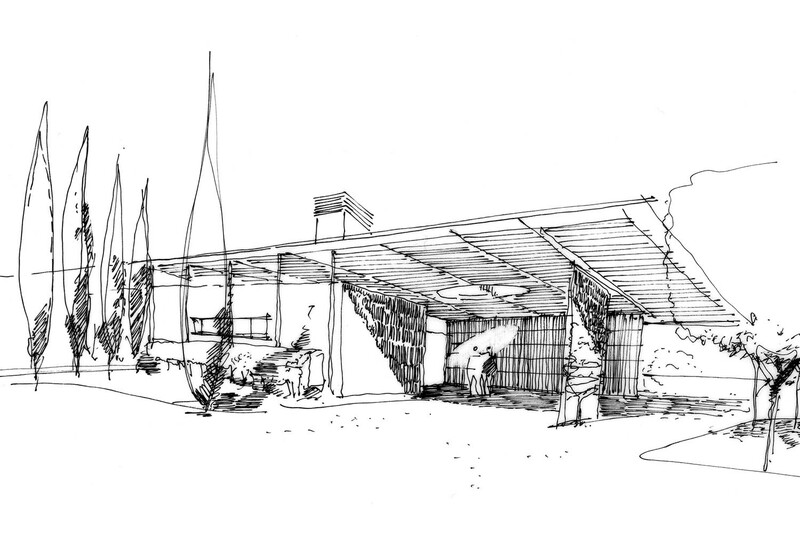 Thus the body of the building is an honestly expressed concrete box, bedded into the sloping site. 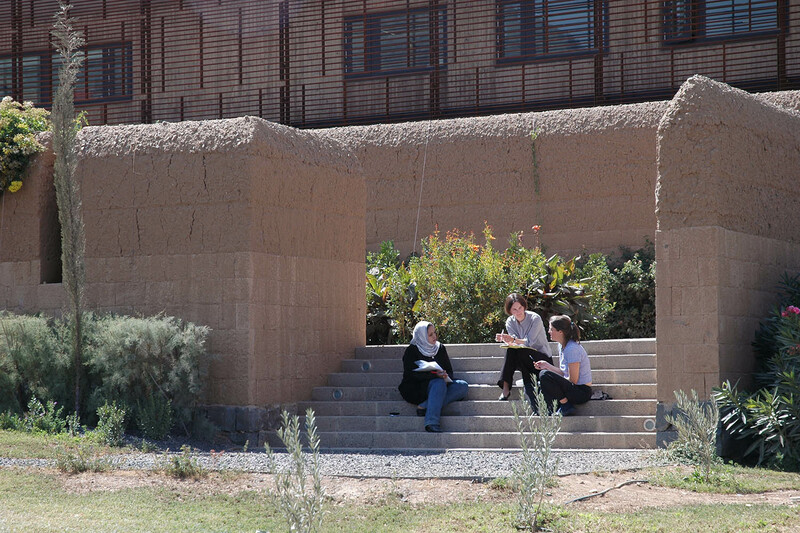 The form is eroded only at the north-west corner to create a welcoming consular/visa entrance, with a sense of openness where the perimeter wall gives way to railings allowing the public a view of the building. 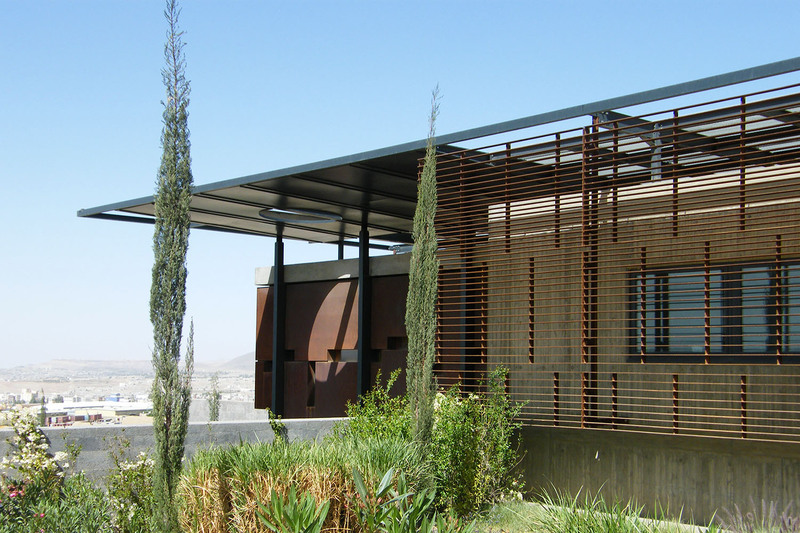 The harsh but reassuring solidity of the concrete is tempered with the delicate weathering-steel brise-soleil, and by the extensive use of traditional elements in the landscape such as habash stone, and ‘zabur’ mud walls. Embassies are by their nature cellular and at times labyrinthine, and this building is no exception. We were conscious of this from the start as the client brief established a very clear organizational diagram. 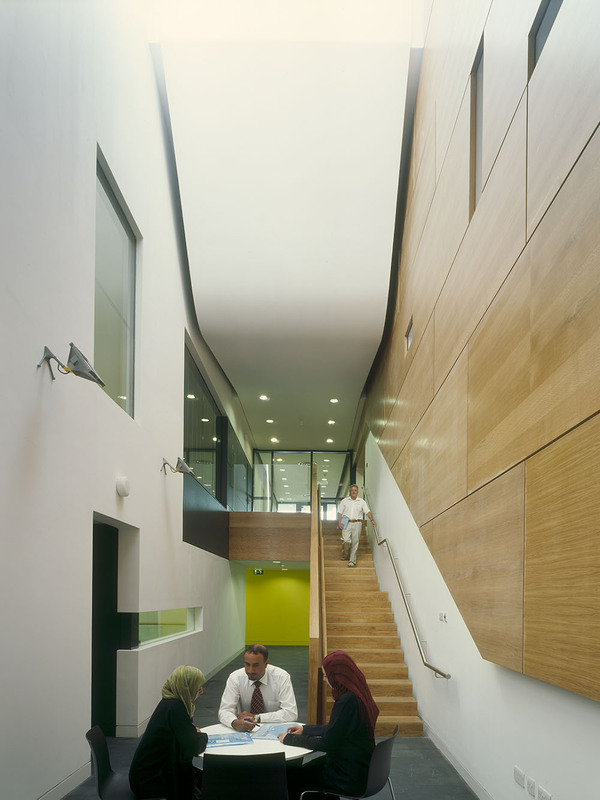 Our reaction has been to create a major linear space that runs all the way through the building, containing the two arrival/waiting areas and the central circulation zone. 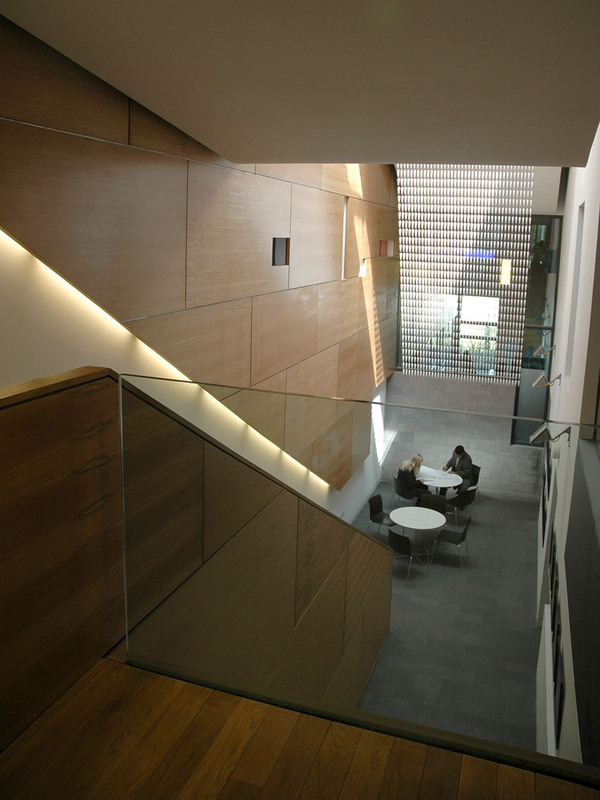 Although this space is strictly separated using ballistic glass, it provides a strong sense of visual continuity and orientation. 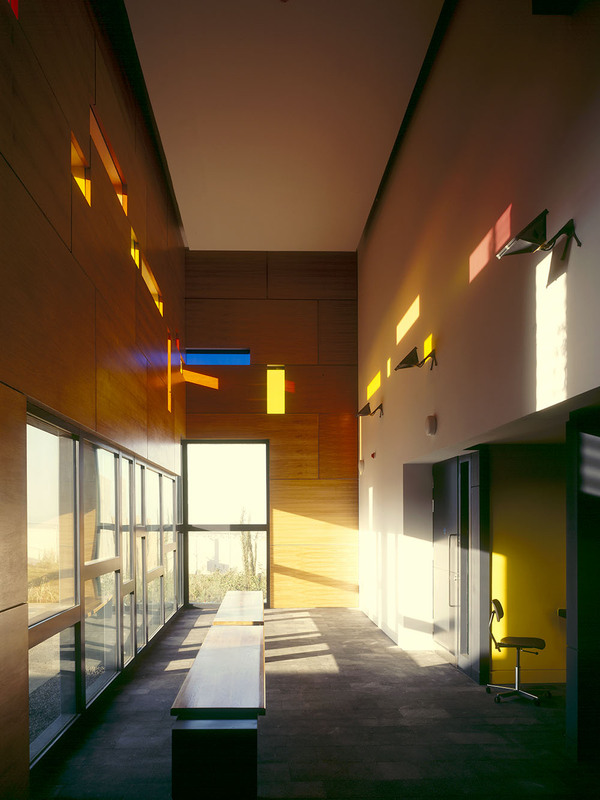 It allows all the people entering the building, regardless of their status, to enjoy the same space from completely different perspectives. 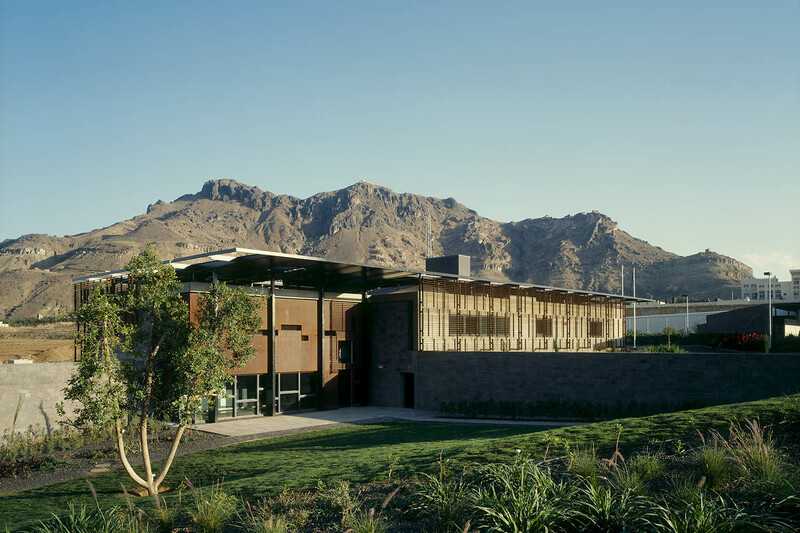 The harsh solidity of the concrete is tempered by a weathering-steel brise-soleil and the extensive use of traditional landscape elements like volcanic habash stone and zabur mud walls..” RIBA Awards Citation 2007, British Embassy Sana’a.